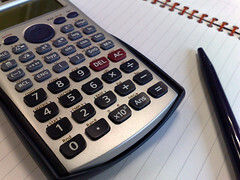 How to calculate your adjusted cost base (ACB). There was a comment left on the “How Capital Gains Tax Works” article about how to calculate your capital gains when you make multiple stock purchases at different prices over the years. The key is to go back into your records and find the transaction details to do an adjusted cost base calculation. After figuring out the ACB, calculating capital gains are pretty straight forward from there. What is your capital gain? First you need to figure out your average buy price or Adjusted Cost Base (ACB) or Cost Basis of the stock. A fairly straight forward but necessary calculation if you trade stocks in your non-registered account. I think the easiest way to do these calculations is either through a program like MS Money, Quicken, or through a simple spreadsheet to track your trades. If you have a portfolio tracking spreadsheet that you would like to share, please contact me. Note that the calculations and explanation above is done by an amateur. Please do your own due diligence or contact a tax professional for your own situation. If you take a look at historical gas prices in Toronto (http://www.torontogasprices.com/retail_price_chart.aspx) over the last 6 years compared to the price of crude, you will notice a recent divergence in the two trends. To me, this indicates that we can expect a large adjustment jump in the price at the pump. Perhaps we are seeing this already at $1.17/L today. I have read that we can expect to see $1.50/L by summer. Even though I consider myself an environmentalist, I have no illusions that most people feel the way I do. I believe people will cut out a lot of luxuries from their lives before reducing the amount they drive. That being said, my question to FT and MDJ readers is what investment opportunities does this offer us? Is investing in oil and gas companies the way to go? Does anyone else benefit directly from rising gas prices? I always hold a portion of my portfolio in energy. Right now, a big chunk of that allocation is in Canadian Oil Sands. (COS.UN). Great post, this is something people need to know how to do! Great timing, too, as I just finished filing my taxes just this morning (I was waiting on a T4 that didn’t get sent to arrive). The oil trusts are an interesting play in the stock market. Check out Penn West. Penn West delivers 34 cents *every month* for each share you own. You might be able to offset your increased pump prices with this baby. Plus as oil rises so will the price of the share. For me, the *monthly* dividends sold me on it. on a side note – can someone help me on determining my ACB in the event of a spin-off, in the format of a dividend? For example, owning Altria (MO)- spun off Philip Morris International (PM), issuing 1 share as dividend for each share of Altria owned. Let’s say for example, i purchased 100 shares of (MO) pre-split at $70. What’s my ACB of the MO shares and the PM shares after spin off? Geoff, I’d be interested to know how you would protect the investment if the stock price goes down the way it did earlier this year at the beginning of – to the middle of February, or is that of no consequence since PWE keeps paying the same monthly distribution? The way I see it – I see cheap oil as unsustainable. I’m betting against cheap oil in the long run. And under those circumstances what matters in the long run is how much oil you control. “Dollar cost averaging” works for oil trust shares in the same way it works for any other index stock. Geoff, ermmm, OK, two things on trust units, since in PWE or PWT.UN case I looked at the charts over the past twelve months and that concerned me. 1) they do swing around, and I suppose cost averaging would be one good way to get around any minor swings, that instead of purchasing say 1000 shares all at once, it could be done in several stages over days, weeks months or years to the point of reinvesting the dividends, that is if PWE was one of the preferred choices. 2) the other concern I have is the distributions, and I know there are no certainties in life, I have seen distributions on some trust units lowered, even vanished. I have a question not directly related to this topic, but that someone here can probably answer. My question is if you borrow money for investing buy a stock and then sell the stock. How much if any of the money could be taken out without changing the deductibility of the loan..
Buy 10 shares for 1K each. Sell 10 shares for 1.5K each 6 months later..
Can the 5K increase be taken out of the investing account, as long as the 10K is invested in something else without effecting deductibility of the loan? An interesting and revealing article – thanks for shifting my focus! What is the ACB *after* you’ve sold some of the shares? How do the ACB calculations change when the stock is split? What about Phantom Distributions? Few of my iShares ETFs distributed some phantom distributions earlier this year (Feb 2009) and I am not sure how does my ACB calculation would change due to these. I couldn’t find much information on this except for a website for a company called ACBTracking Inc. that charges $85/- for 10 calculations. Since, I am an individual with just 7 ETFs with no sales, I find it pretty costly to pay $85/- to just calculate my ACB if it’s easier for me to calculate it myself. Hence the questions. If I buy and sell one US stock for many years (many times each year) and do not declare tax losses each year because each time I sell I bought some back within 30 days (the superficial loss rule would not allow it), finally in 2008 I sell all the shares and decide to make a tax claim. What would be the ACB? 1) convert each transaction into CAD using the spot exchange rate. then compute ACB from it. averaged US$ rate for 2008 (or the rate on the day it is finally sold). 1) would be the most accurate. But too complicated if the number of trades is huge. 3) I am not sure. my question is: How do you write off the fee on a tax form? Let’s say it cost me $X dollars in trade fees which form do I declare that on? Any tax experts and/or anyone in a similar situation? Any help would be greaaat! How do dividends that are reinvested effect the acb calculation? do they simply increase the TNSO (total number of shares owned) ?? How do you calculate ACB for your rental property? Is this the same as FMV (fair market value) – at time of starting to rent the unit? Any links to help on this would be appreciated! When calculating the ACB with exchange rates, USD to CAD. I assume we need to keep track of this too, since you could have bought at $1.30 to USD and later sold or added more at around 1 to 1. Also if you purchase on margin in USD and repay at a better exchange rate I guess we would have to calculate on the exchange rate when the money was converted to USD and not when the shares were purchased? When selling a rental property, are there any other expenses other than capital purchases, purchase price and selling expenses that affect the ACB? I’ve never declared any CCA. My discount brokerage sends me a letter every year that appears to track my capital gains from the previous year. It’s not a real “T4” looking document but typically i claim 1/2 their total as income on my tax forms. Their dividend and income summary is much more official looking and is sent seperatly. There isnt much detail on their gains summary, Is it possible they choose their own way of calculating my ACB or is their napkin total good enough for the taxman. +1 for adjustedcostbase.ca, used it this year and it works!